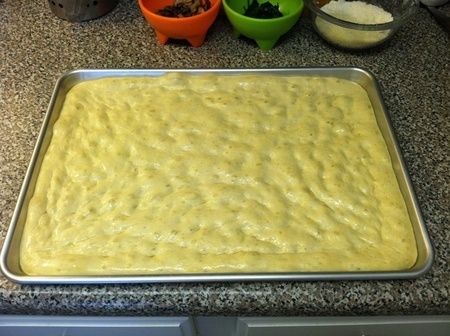 About to christen my new 12x18" pan on Monday and made some 73% hydration dough for what hopefully will turn out a nice fluffy, airy and light crust. Hmm. I will look into it Mike. I think the order might be based on ascending order of the filename. 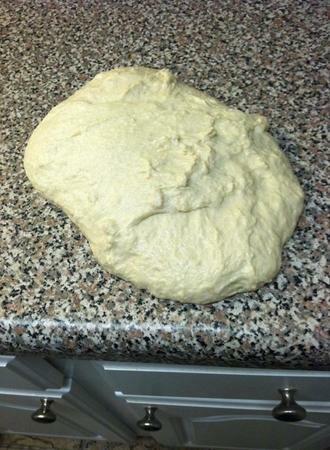 That's the dough after 24 hrs in the fridge. Nice and puffy. I think I'll do half of spicy Calabrese and half just cheese and sauce. 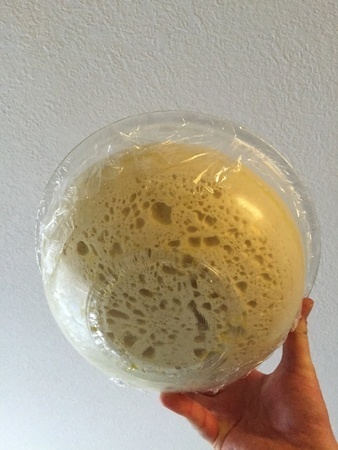 After two days cold ferment...very airy. 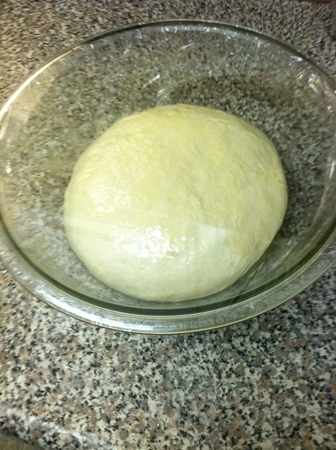 Dough is now out to come up to room temp for the next cpl of hours before going on the sheet pan for a parbake. The result was less spectacular than I expected. 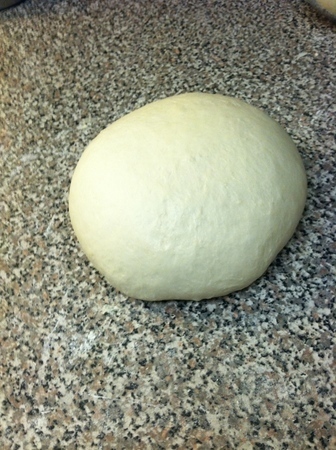 It's mostly due to poor dough management and mistakes I made along the way (proofing & too much oil in the pan). 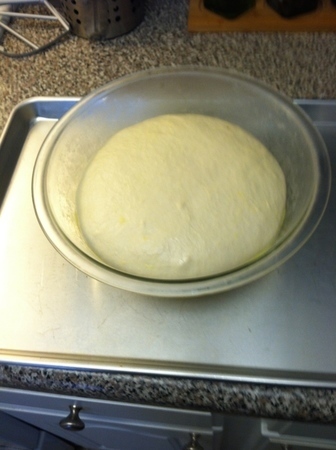 I'll have to work with this type of pie a bit more in the future and hopefully will get a better outcome, crust-wise. Actually, now that I see it, the crumb is a bit more airy. Speaking of Sicilian pies, mine look pretty close to Ken's in terms of crumb and overall aesthetic. One thing I've noticed is that the bottom ends up being a little tough. Has anyone experienced this? I find that the bottom is delightfully crunchy, and we like that it is juxtaposed with a soft, flavorful crumb. 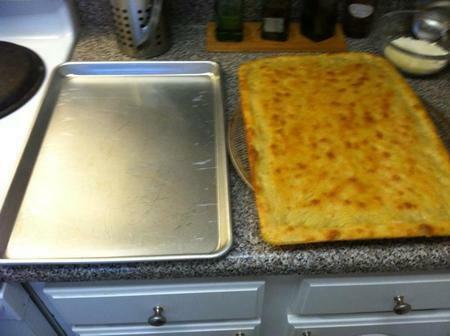 As I said, I don't know what a "real" Sicilian pizza or focaccia "should" taste like, but we like what the recipe has produced. Yours looks like what I was shooting for. Mine was a tad too saturated with oil and it just wasn't up to par. I was looking for a light, airy, fluffy and somewhat drier version. Like I said, I was the culprit by messing it up. Could be the oil that makes it tougher during baking. Mine was just too tough. That's probably it Mike. I've been using a pretty liberal amount of oil. I'll reduce it. Thanks! I used way too much oil. So that's the only thing I can think of.